Jason Arnopp's horror novella Beast In The Basement is a dark, twisted tale of obsession, revenge, censorship, blame culture and parental responsibility. In a big house in the countryside, an increasingly unstable author toils over a new hotly-anticipated novel which will close the best-selling trilogy of Jade Nexus books. A violent incident tips him into a downward spiral with horrific consequences. Read it before someone spoilers you! Beast is available for Kindle (which can be read on most devices) at Amazon UK, Amazon US and more. More details here. You can also buy Beast In The Basement as half of the special release Brandy In The Basement, which twins Beast with JMR Higgs' excellent short novel The Brandy Of The Damned at a special low price. 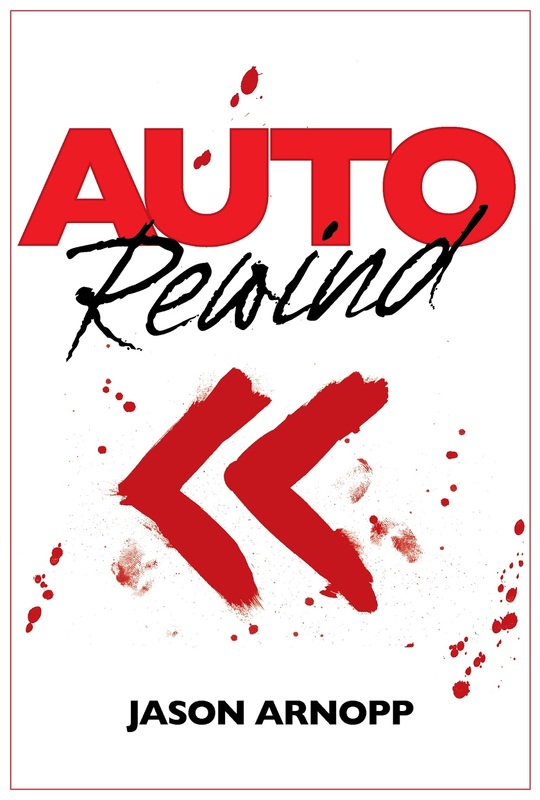 Auto Rewind is a surprising, darkly funny and emotionally charged thriller, in which a child of the '80s takes ever more extreme measures to protect his family's lifestyle. Auto Rewind is currently FREE, worldwide! Get it here. Jason Arnopp's Amazon-acclaimed non-fiction ebook How To Interview Doctor Who, Ozzy Osbourne And Everyone Else is out now on Amazon UK, Amazon US and Amazon Germany, among others. It sets out to teach you everything which former journalist Arnopp knows about interviewing people. You can also buy it direct from the author, in a Triple Pack of all three major file-types (PDF, ePub, Kindle), via PayPal. Full details here.